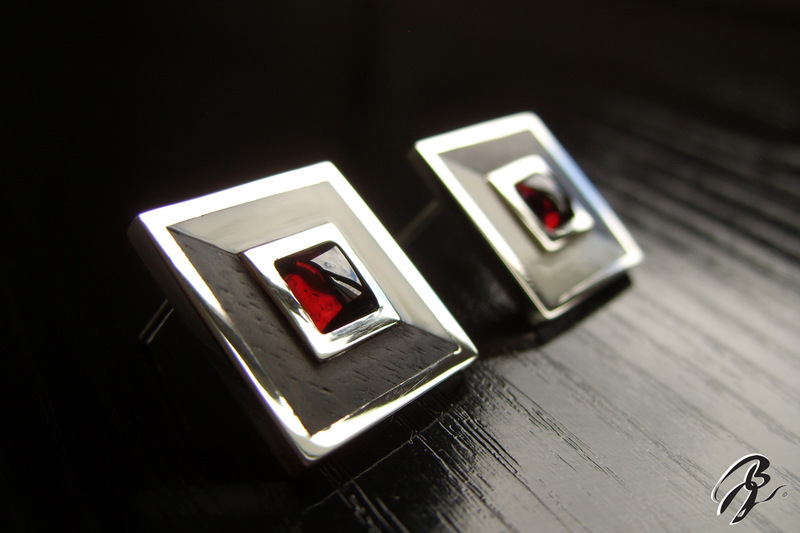 Earrings in Sterling Silver with Ivory* and Ebony, set with two Garnet Red Pyrope. 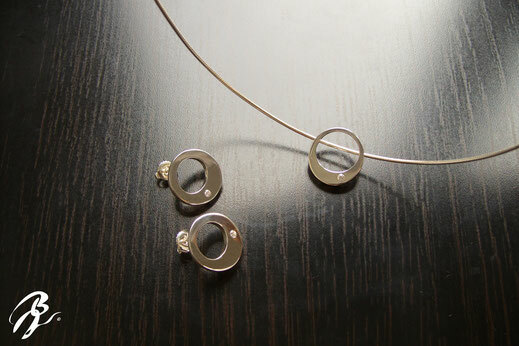 Full collection take a look to Necklace. 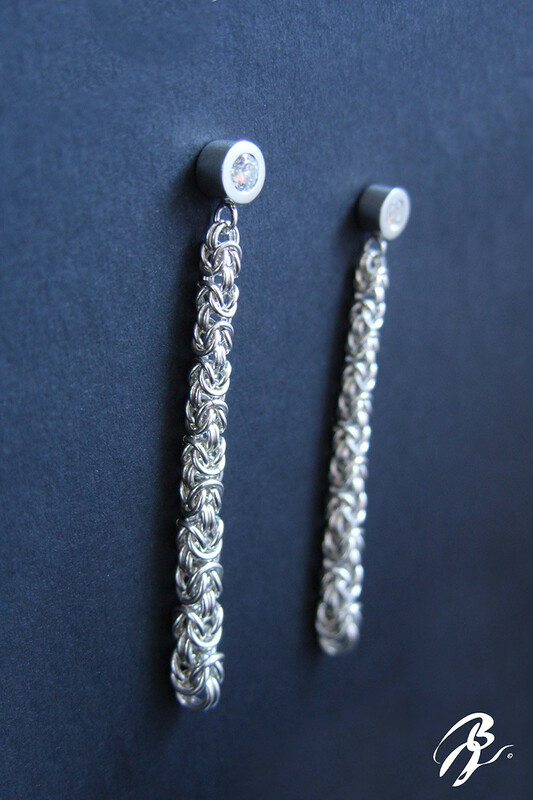 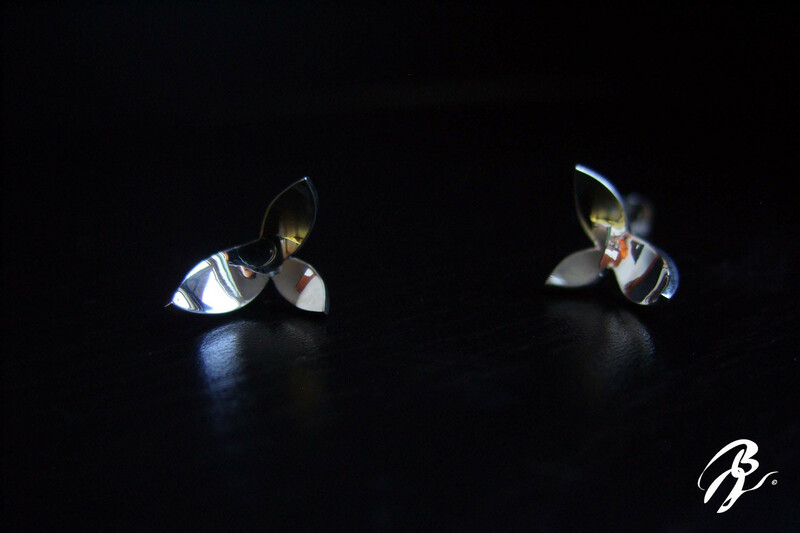 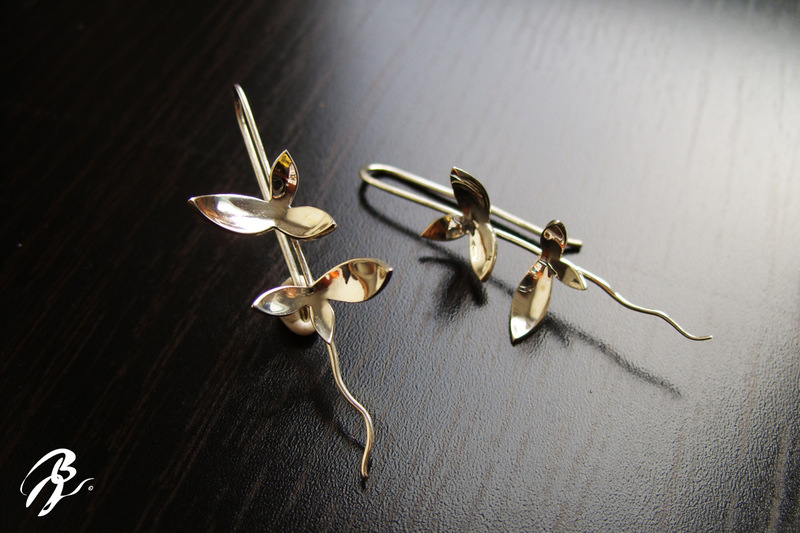 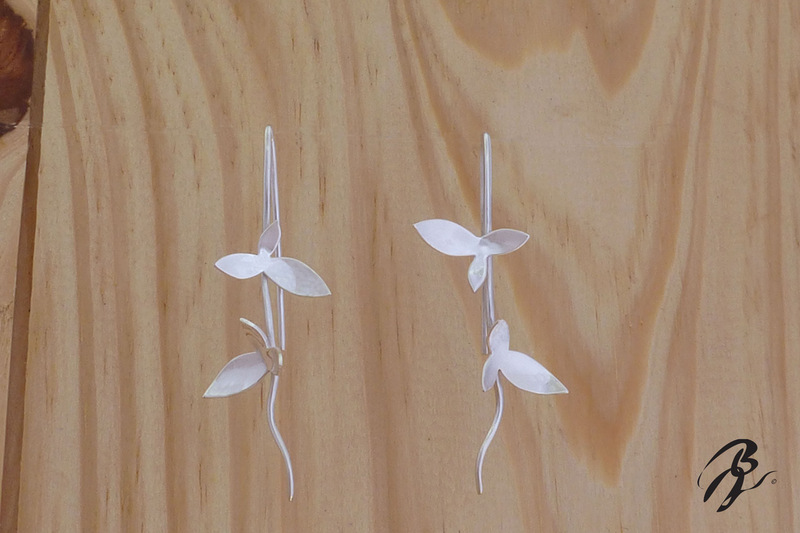 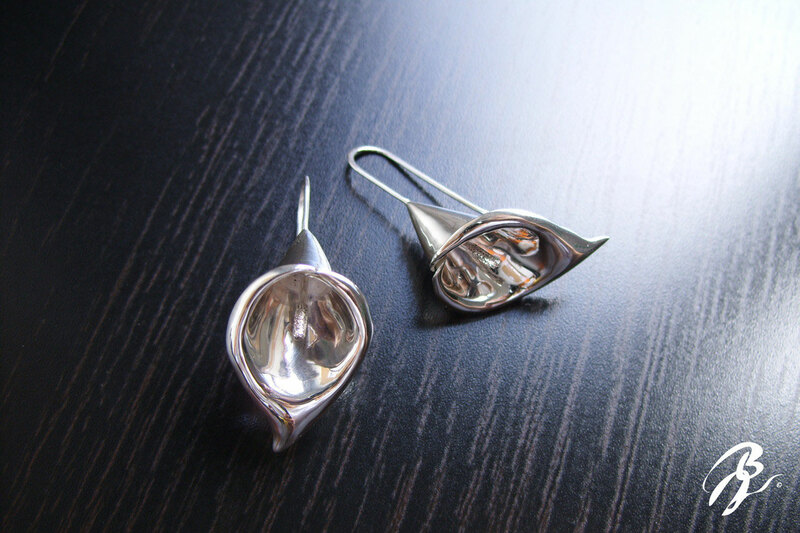 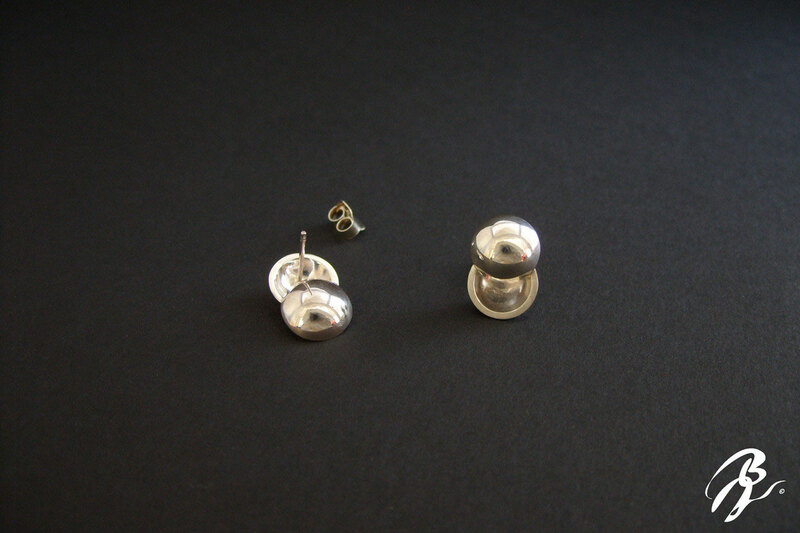 Earrings in Sterling Silver. 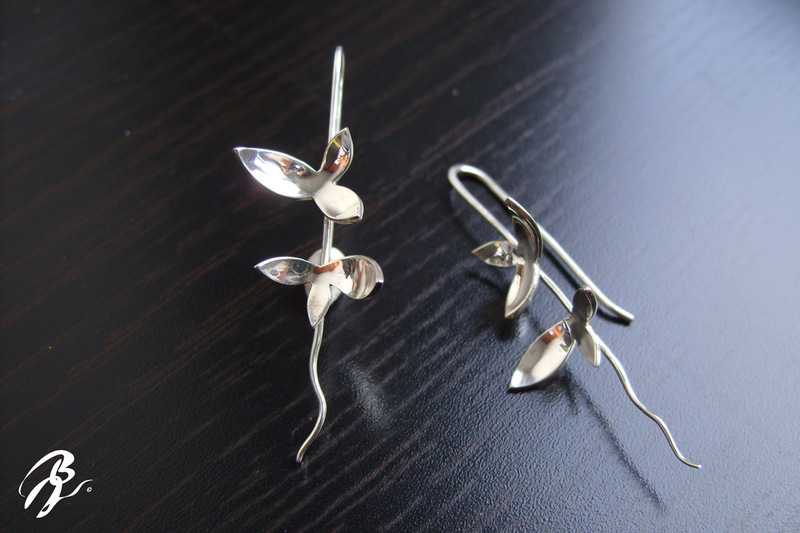 (Arum is a genus of flowering plants native to Europe, northern Africa, and western and central Asia, with the highest species diversity in the Mediterranean region). 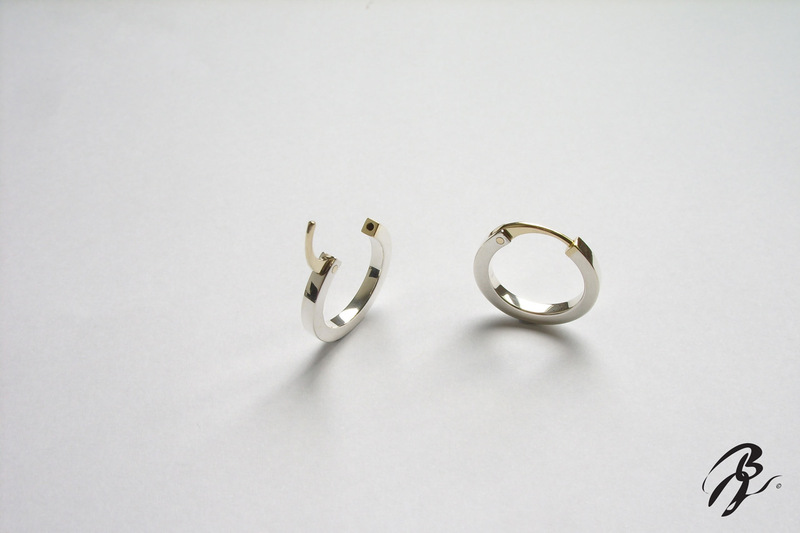 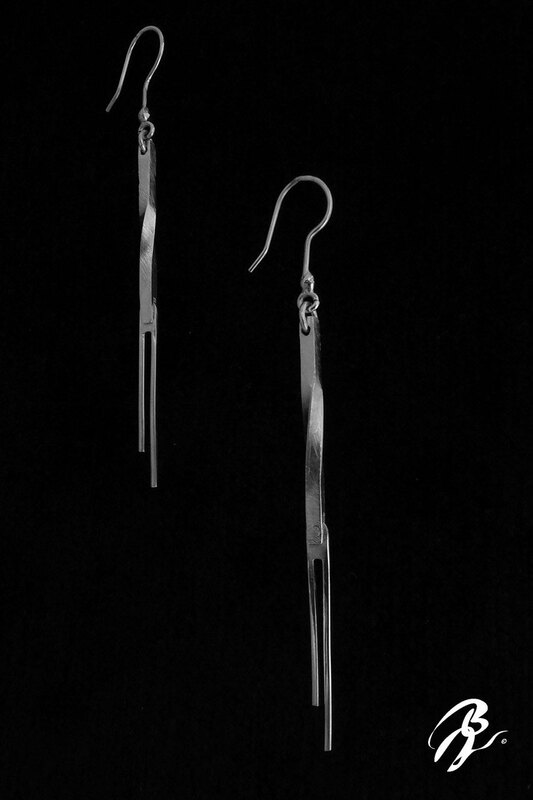 Earrings in Sterling Silver 925. 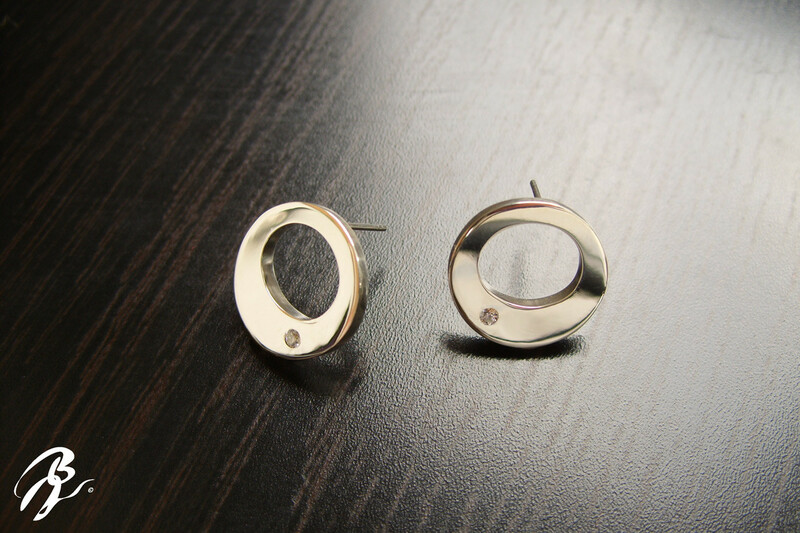 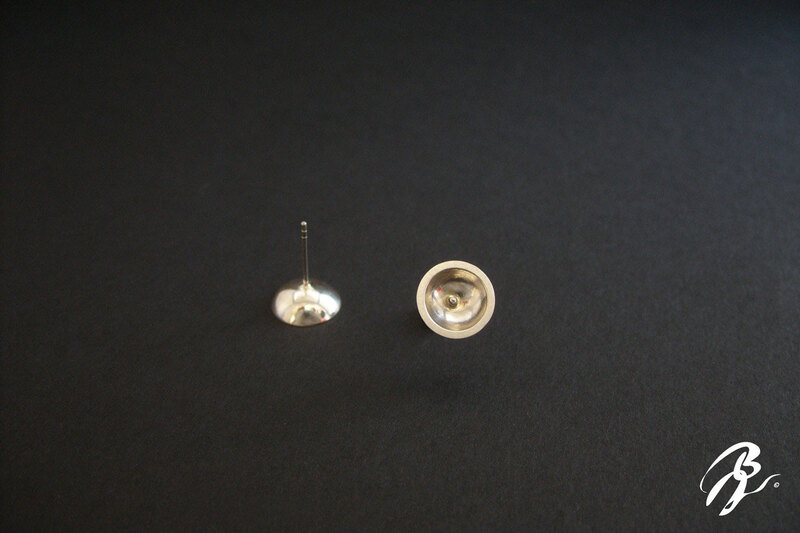 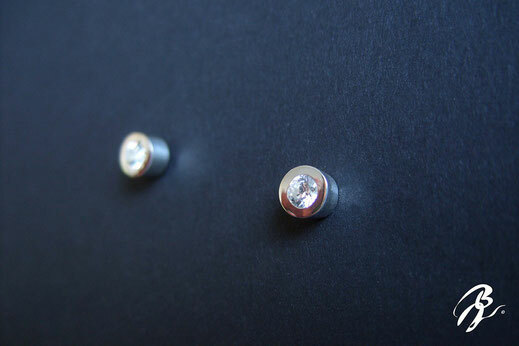 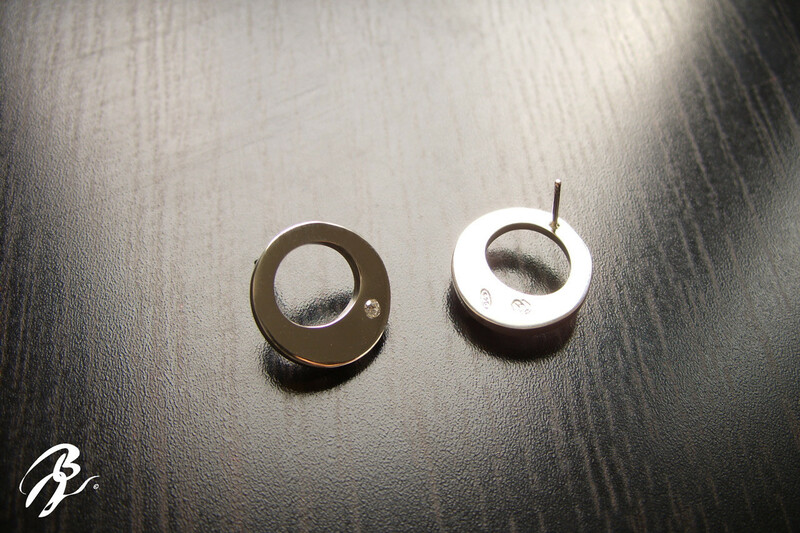 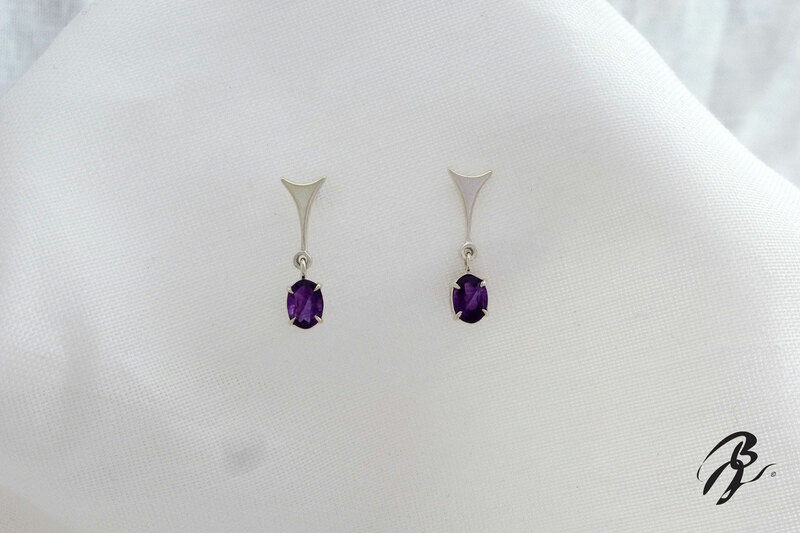 Earrings in Sterling Silver, set with two Zirconium Swarovski (2mm). 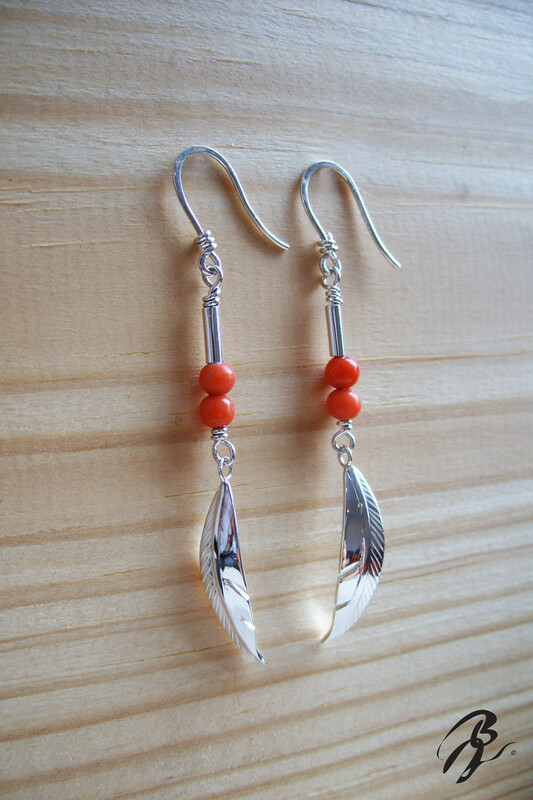 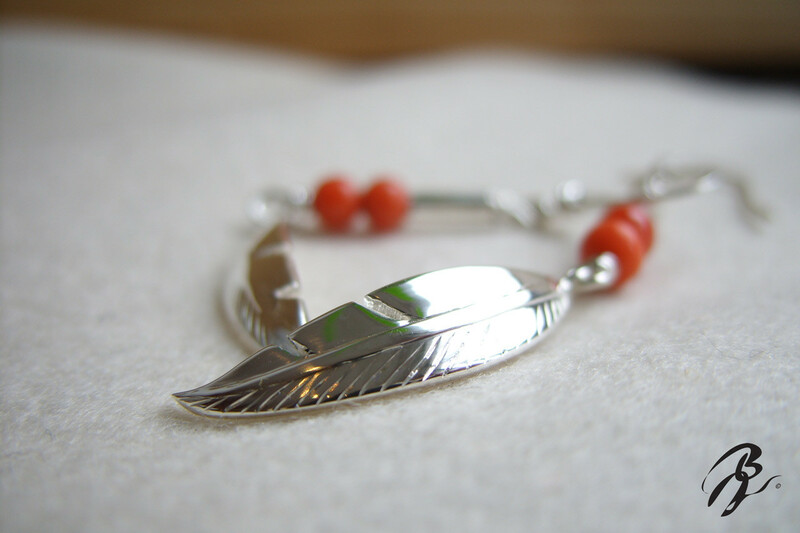 Earrings in silver sterling with reals coral bead. 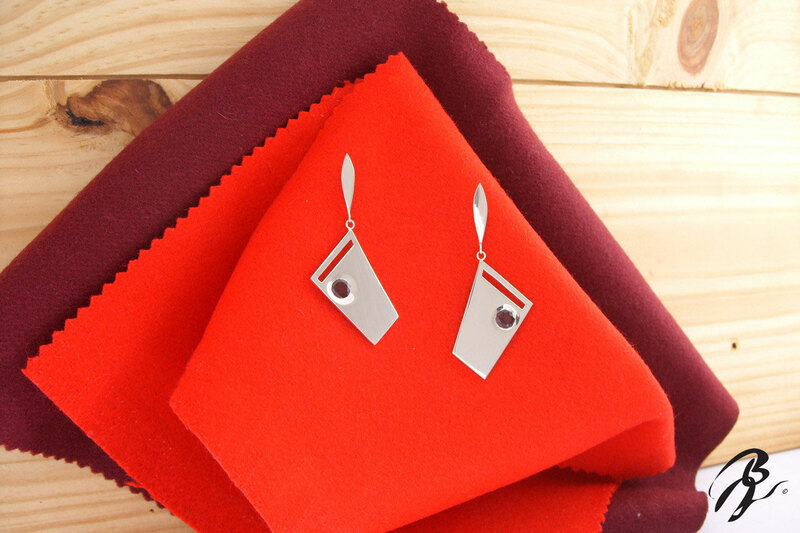 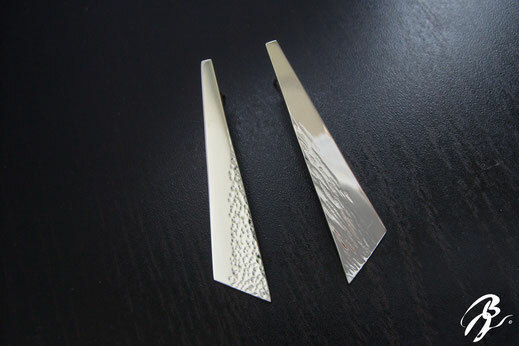 Earrings in silver sterling with hand engraving. 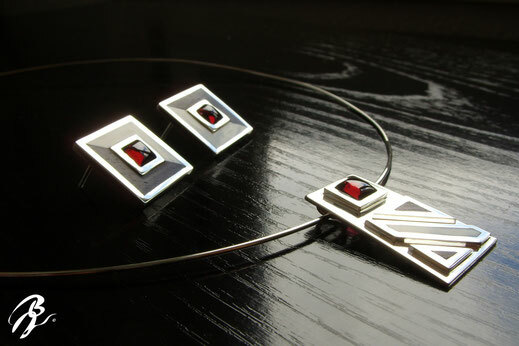 Earrings in silver sterling, set of two cabochons Garnets Reds Pyropes Squares and close set of two Zirconium Swarovski. 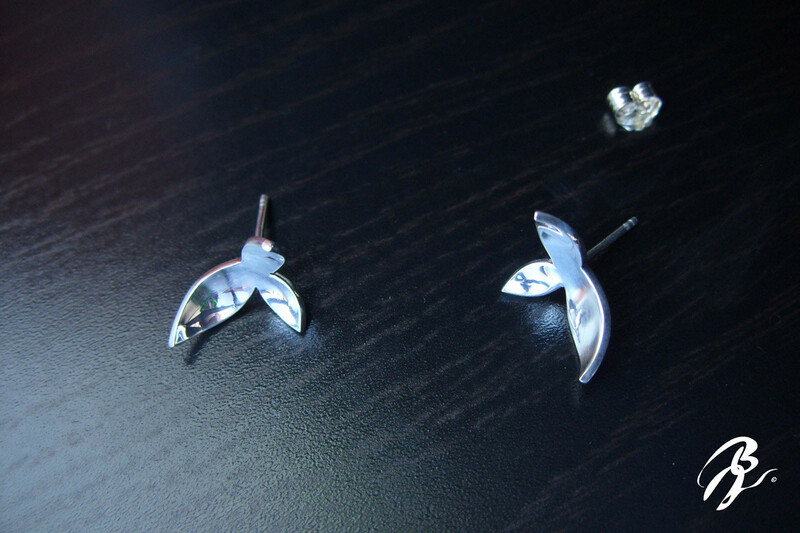 Earrings in silver sterling, set with two Zirconium Swarovski. 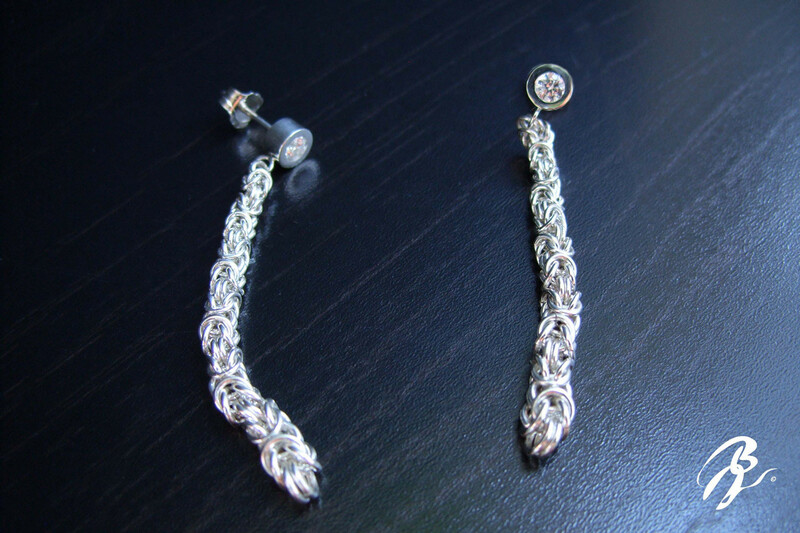 Earrings in silver sterling, set with two Zircons Swarovski. 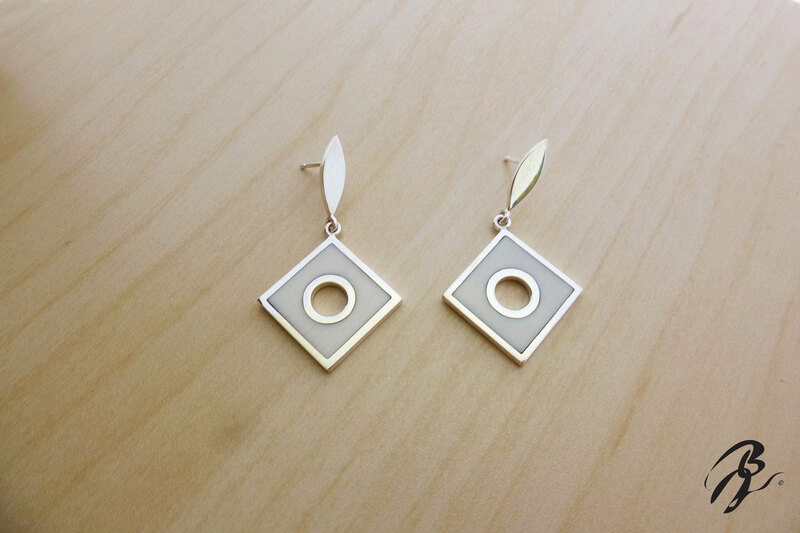 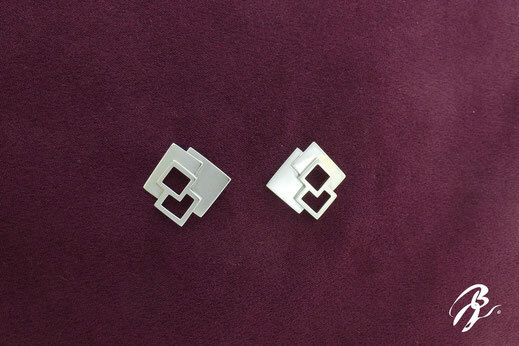 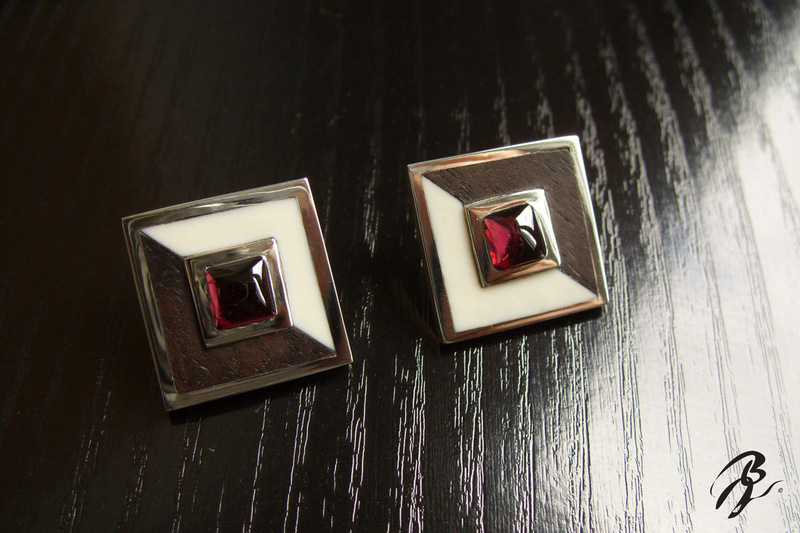 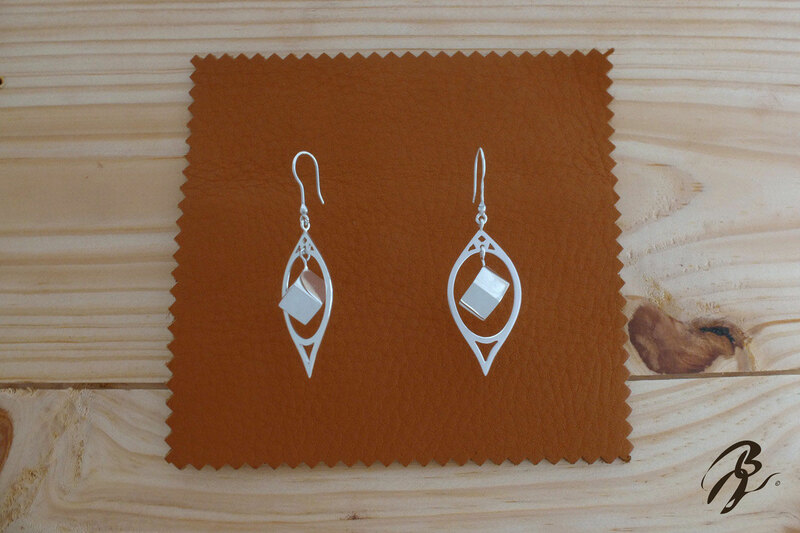 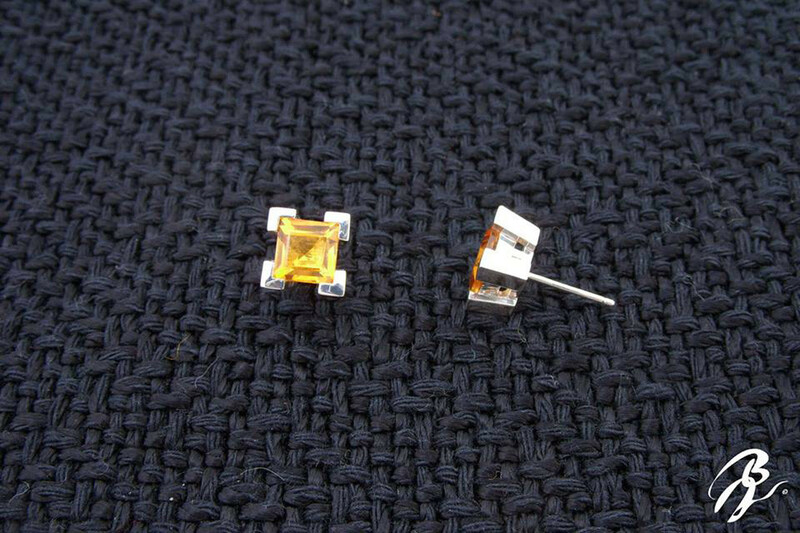 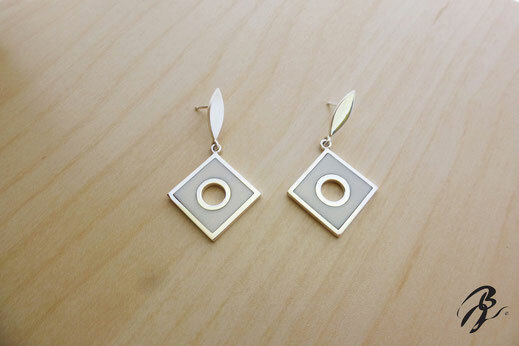 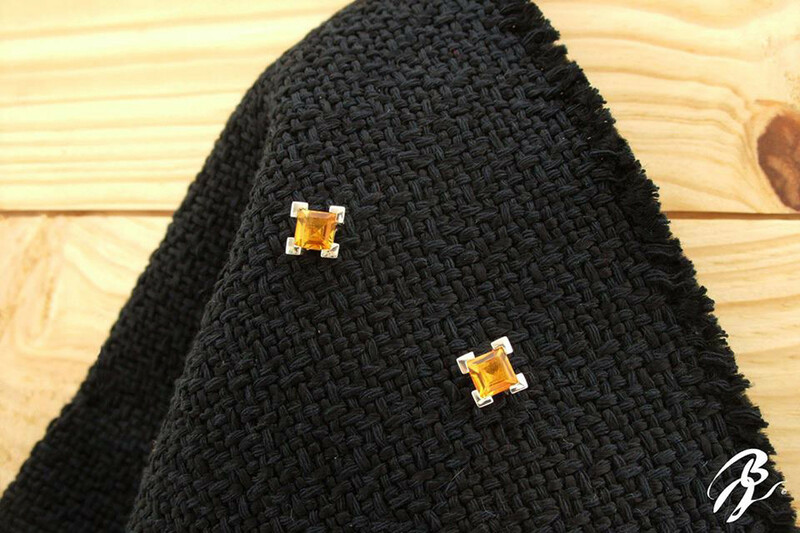 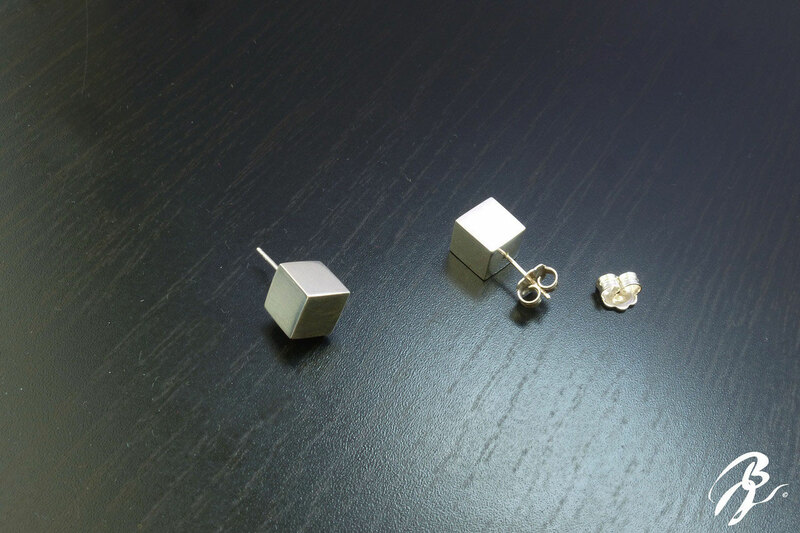 Earrings in silver sterling, set with two Citines Dark color square facet. 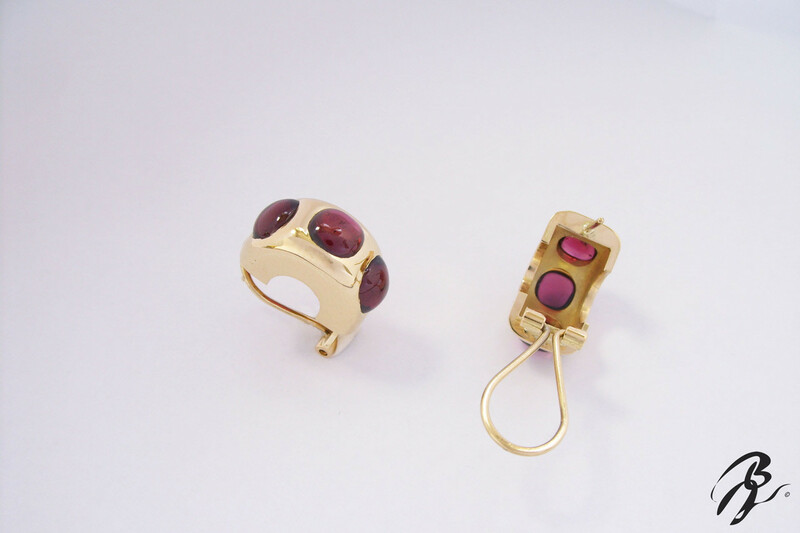 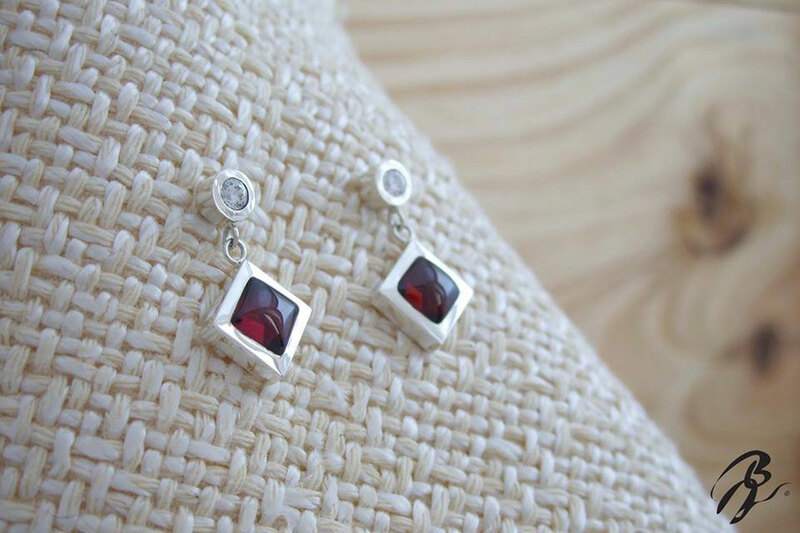 Earrings in gold 18 karats o silver sterling, set with six cabochons of Garnet red Pyrope square. 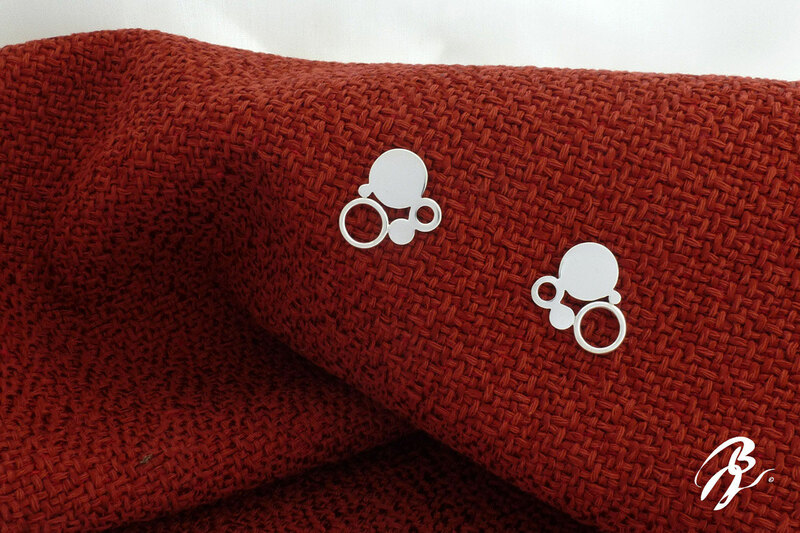 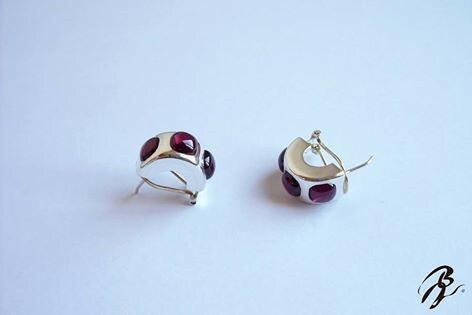 Earrings in silver sterling, set with two Garnet red Pyrope round faced. 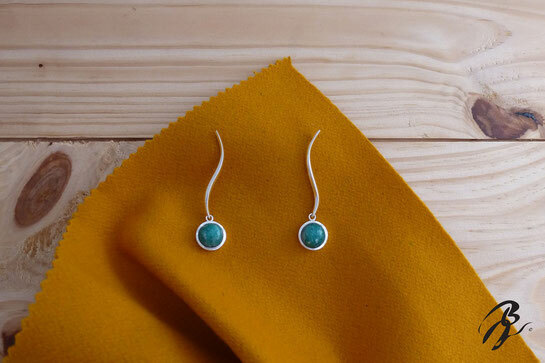 Earrings in silver sterling, set with two cabochons of Amazonites. 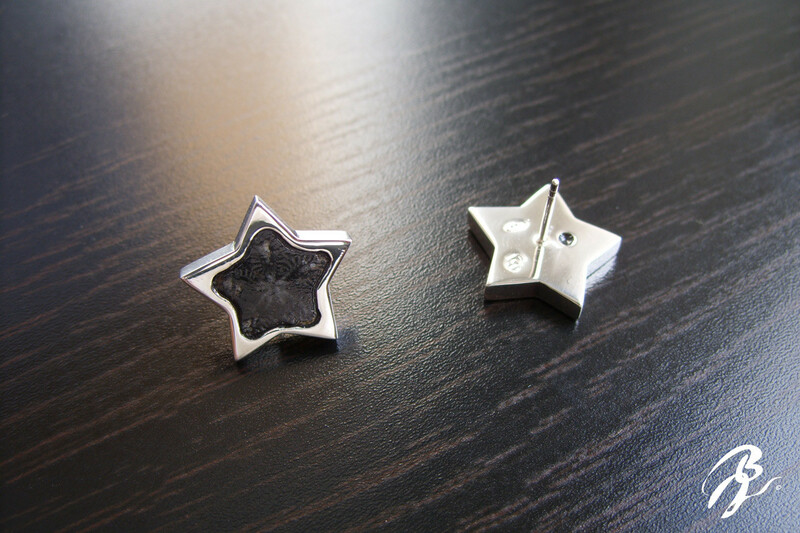 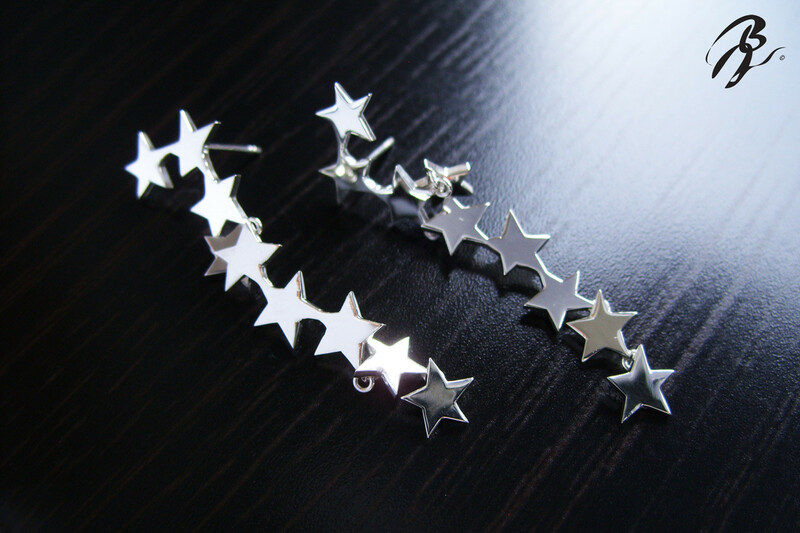 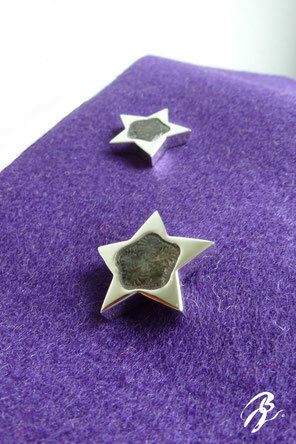 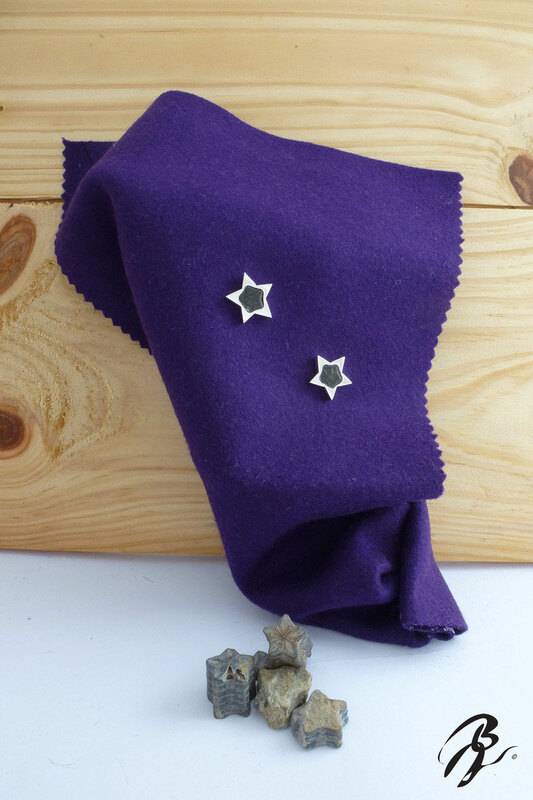 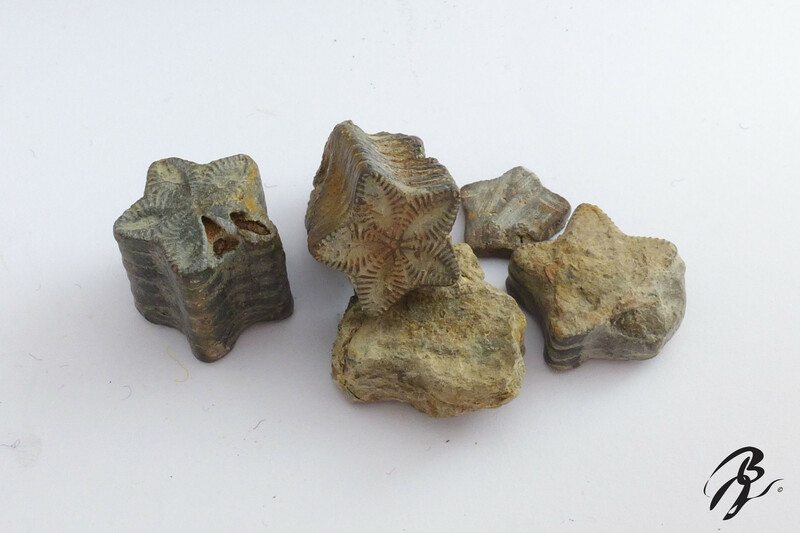 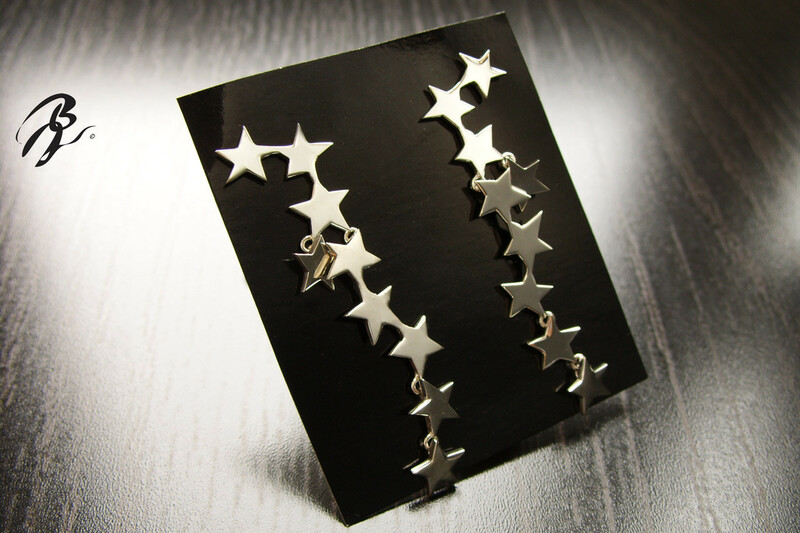 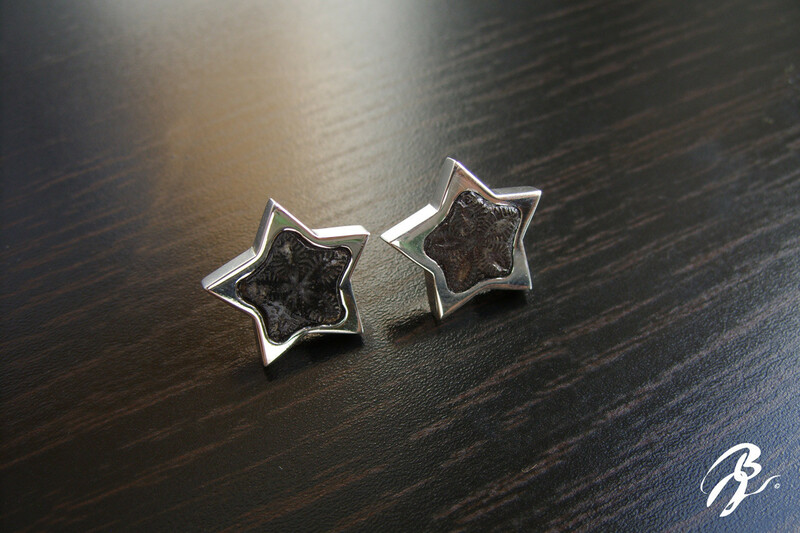 Earrings in silver sterling with star fossil (The star of Saint-Vincent are fossil of (Crinoïdes). 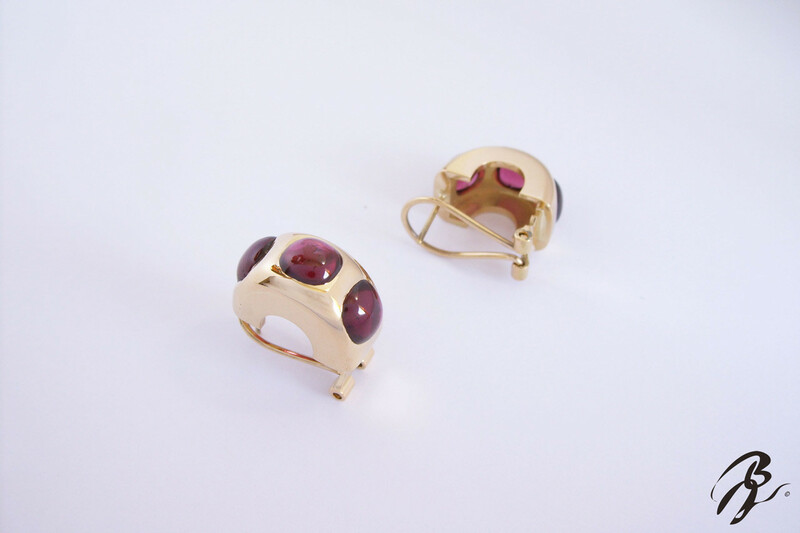 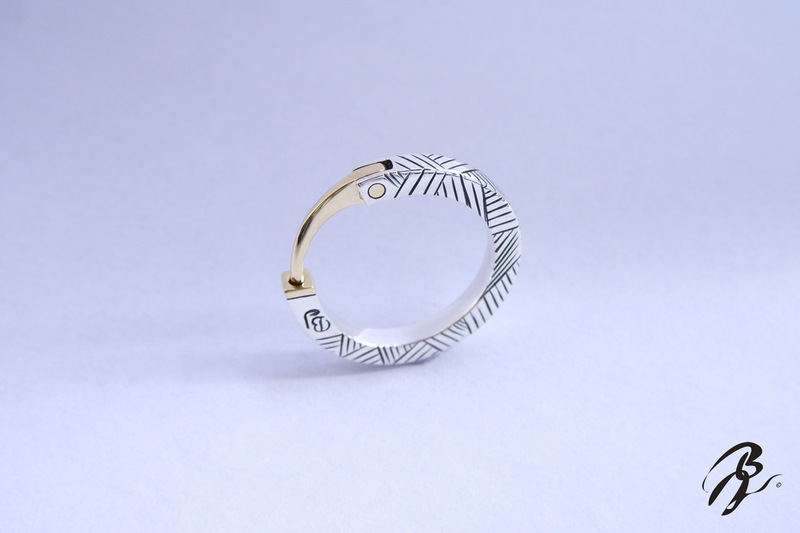 This Creations are inspired on the jewels of a french jeweler Antoine Colomb 1855 of "Digne les Bains" a little village in a South of France. Earrings in silver sterling and gold 14 k.
Earrings in silver sterling, set with two Amethyst. 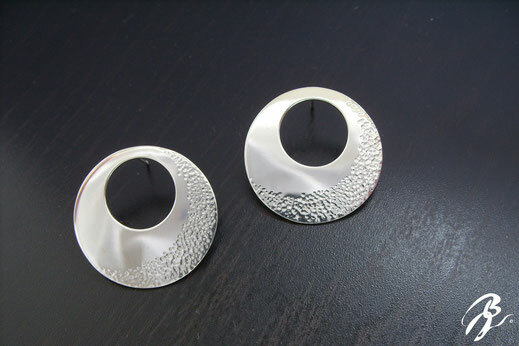 Earrings in silver sterling. 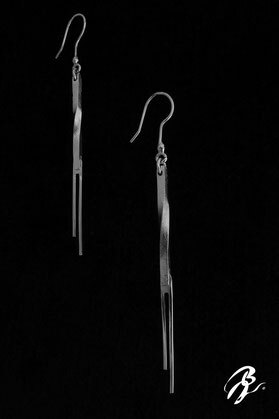 Pièce d'exposition.